1. The structure of your home and other structures on your land. 2. Your personal property – furniture, clothing, electronics, appliances, etc. 3. 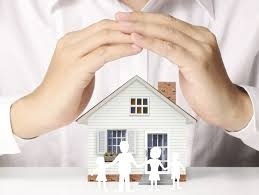 Living expenses while your damaged home is being repaired and you have to live somewhere else for a time. 4. You, when someone is hurt on your property and you're found to be at fault. l Theft or damage of your auto, boat or recreational vehicle on your property. l Water main breaks and floods your house, or if a sewer line breaks and floods your house with sewage. l Earthquakes. While probably not necessary in, say, Kansas or Georgia, if you live in Hawaii, California, Washington state or Alaska, you probably ought to get covered. l Terrorist activity resulting in damage to your home isn’t covered. Neither are war damage or nuclear accidents. So you might want to think twice about moving in next to that nuclear reactor. l Landslides and mudslides aren’t covered. l Arson is covered if it’s perpetrated by a stranger or an ex-spouse, but not if you’re only separated or living apart. It doesn’t cover damage caused by your children. l Damage caused by pest infestations. This is considered part of upkeepl Damage resulting from neglect. If the original roof is still on your house, and the house was built in 1900, and a hail storm comes along and rips through it like tissue paper, sorry. You’re responsible for upkeep, which includes replacing rotting shingles. l Dog bites if you own a breed considered dangerous, including but not limited to pit bulls, Dobermans, wolf hybrids or a Rottweiler. Your insurer isn’t going to touch that coverage with a ten-foot pole, no matter how vehemently you insist that Spike is as gentle as a lamb.